Parsons' Healthy Materials Lab seeks to make it easier for consumers to use toxin-free building materials. 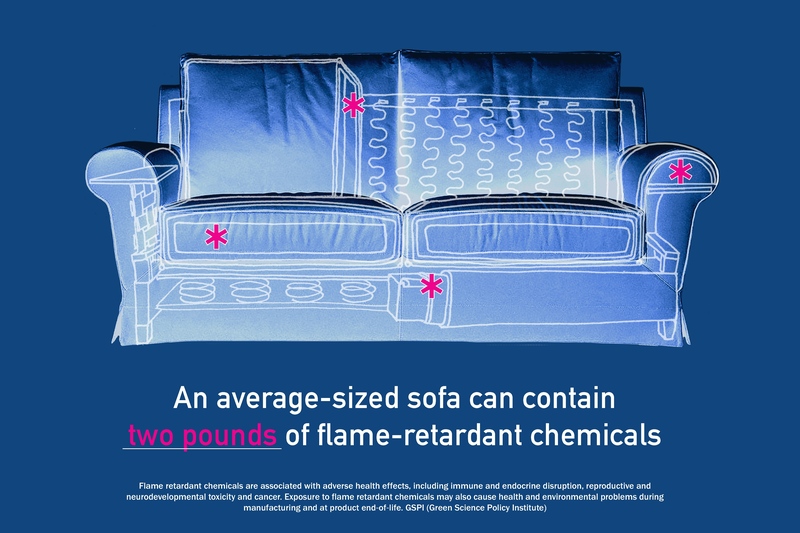 MANHATTAN — Are there toxic flame retardants in your couch? Does your vinyl floor have harmful phthalates? What about dangerous chemicals in your carpet? The materials used to build or furnish our homes and offices can be chock full of toxins — but finding out exactly which ones are safe can be challenging because the industry for these products isn't highly regulated, experts say. 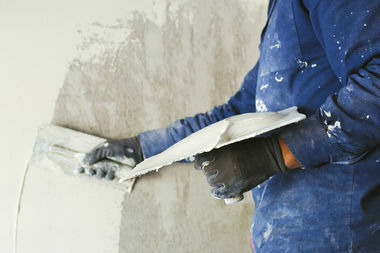 While some websites analyze the chemical content of products used in construction, the information is often too scientific for many people to digest, said Alison Mears, former dean of the School of Design Strategies at Parsons School of Design and director of a new initiative led by the school called the Healthy Materials Lab. "A lot of the research is out there, but it hasn't been translated for the people who work in the industry — contractors and architects — or the public. It's difficult even for us to understand," Mears said. The Lab is currently developing tools to help people look up — and understand — potential hazards in the everyday building products that surround us. "We want to make it more accessible, so we can answer the question: 'Tell us which paint should we buy?'" The Healthy Buildings Lab is working on public service announcements, like the one above, to communicate the dangers lurking in building materials used in everyday products. At the same time, the Lab is also hoping to push retailers to create more alternatives that are safer and cheaper and is working directly with affordable housing developers on getting healthier products in their construction projects. A Parsons graduate studio class of lighting, architecture and interior design students, for example, will work this fall with affordable housing developer Monadnock — best known for the Kips Bay micro-unit building that's using prefab construction — on ways to rethink the company's building materials. “Our aim is to influence the entire housing sector to reduce toxic chemical exposure," Mears said, adding, “Healthier materials options should be available not just to those who can afford them, but to everyone." The Lab is funded for the next three years from a grant from the JPB Foundation, which focuses on improving living conditions for low-income communities. "If you're building on the Upper East Side, you're more likely to find [healthier building materials] because they cost a premium," Mears said. "This particular project is looking at the other end of the market — the Home Depot space — to help retailers transform practices." The Lab is tapping the expertise of its partners to help create its practical applications: the Healthy Building Network (an expert in toxic reduction strategies), the Green Science Policy Institute (which helps translate scientific research on building product chemicals to policy makers and the public) and the Health Product Declaration Collaborative (which helps manufacturers disclose the materials or ingredients of products and their associated health effects). While there's been increasing attention on how buildings can improve their energy efficiency — with LEED certification now used as a marketing tool for those looking for a "greener" lifestyle — there's been less focus on how the materials of buildings themselves impact their inhabitants' health, Mears noted. But one exception Mears noted is the Living Building Challenge — a certification system that's a more rigorous alternative to LEED — pays closer heed to building materials. The Lab is working to make it easier for developers to meet the requirements of the Living Building Challenge, which prohibits buildings from using anything on a "red list" of materials or chemicals culled by the International Living Future Institute. Items on the "red list" are not necessarily banned by any regulatory agencies, but are recognized as harmful to humans. Meeting this part of the challenge is one of the most difficult, experts said. Only 25 projects in the world have met the Living Building Challenge standards since it started in 2006, Eric Corey Freed, of the International Living Future Institute, said. To date, there are no fully certified Living Building Challenge projects in New York City (though there is one a few hours away upstate, in Rhinebeck at the Omega Center for Sustainable Living). Of 270 buildings that are currently registered for the challenge, six of them are in New York, but the projects' details are confidential, Freed noted. Mears and other members of the Lab spent last week studying an affordable housing project in Minneapolis called the Rose, which is striving to get certified as part of the Living Building Challenge. The Lab wants to develop a toolkit of best practices for similar developers looking to overcome financing hurdles to construct healthier buildings. "We’d love to see New York City take a leadership role and build their first Living Building Challenge project," Freed added. "It would stand as a living example of how to build healthy, regenerative buildings to the whole world."